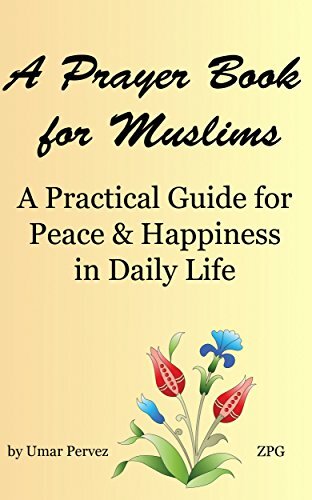 This book is intended to be a practitioner’s guide for those who want to progress on the path of spirituality within the Islamic framework. Islam teaches that the path to spiritual development is open to all. The literal meaning of the word Islam is Peace. This peace comes from complete immersion of self in the will of Allah. The Quran tells us that we have a direct connection to Allah, The Merciful, The Compassionate. This positive message for humanity fills hearts with hope and courage; with peace and happiness. As you realize the presence of God, your problems may appear to become smaller, and life can become suffused with peace and happiness. This prayer book is written to be your constant companion. Whenever you need a break – in office, on the train or at home after a stressful day – open up a few pages of this book to recharge and refresh in the remembrance of your Lord.